Epsom Salt for Roses - Benefits and How to Use It? Roses are one of the most beautiful and fragrant flowers in the garden, but they can also be the trickiest to grow. And if you manage to have them thriving in your garden, then insects love to eat them. But first, you need to begin your garden. Choose a selection of rose bush cuttings from your local garden shop, them move onto learning how to to plant and maintain them. You’ll be excited to learn that Epsom salt can make growing roses much easier. Epsom salt isn’t just meant for human ailments. You may have likened roses and Epsom salt to mean that rose petals and Epsom salt are strewn throughout a bathtub for a luxury bathing experience. But Epsom salt can actually benefit your rose garden too. It’s a simple, safe, and easy way to use a natural fertilizer to boost rose growing. Epsom salt is considered a fertilizer for your garden, and is particularly beneficial for roses. If you’ve ever had difficulty in growing roses before, you’ll want to purchase new bushes and a bag or box of Epsom salt, to give it another try. It’s really worth trying this method. 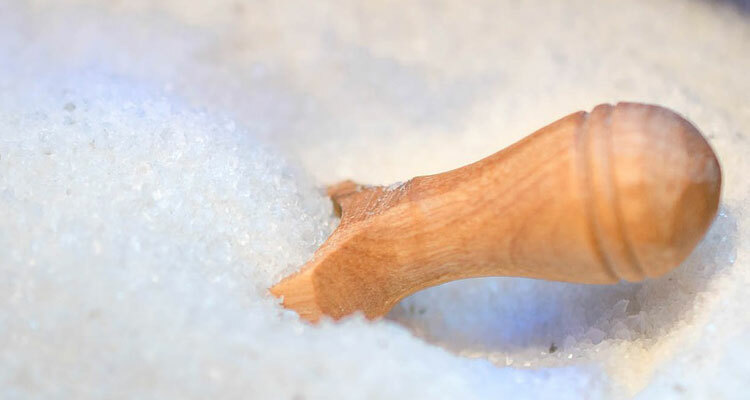 Epsom salt is actually composed of magnesium sulfate. This is a compound that is useful for the growing of roses, or even for other types of plants in your garden. Magnesium sulfate is often lacking in the soil, and Epsom salt makes a great replacement. You can buy Epsom salt in a box, carton, or plastic bag. It’s all a matter of choice for the manufacturer. Epsom salt will provide the enrichment to your soil, which in turn will cause your rose bush to thrive and naturally be healthy. Both magnesium and sulfur are essential compounds for chlorophyll production in plants. Chlorophyll is used by plants in food production through sunlight. It’s what will make your plant thrive. 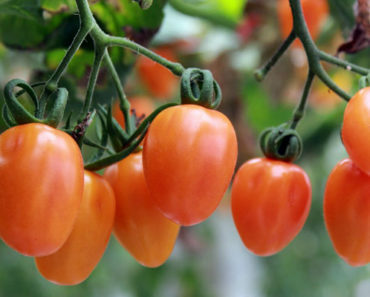 It will enable your roses to more easily absorb phosphorus, nitrogen, and potassium. Another great benefit of using Epsom salt in the garden is that it’s a safe fertilizer to use around pets. Often it’s difficult to keep dogs or cats out of the garden as they love to explore. If they get some soil on their feet, the Epsom salt won’t hurt them if they should lick their feet off afterwards. This may have been a reason why people are hesitant to fertilize a garden, and hence discover that their rose bushes aren’t doing too well. Even though Epsom salt is a great fertilizer for the garden, it must be applied correctly, otherwise, you’ll still end up with a dead dried up rose bush, or one that isn’t growing to its full potential. It’s important to follow the correct Epsom salt for roses recipe. If you apply too little, there may be no effect. If you apply too much, you risk killing your rose bush. There are two main ways to use Epsom salt for roses. You may use your Epsom salt during the planting of your rose bushes, as well as for when your rose bushes are in the ground. In fact, you can use your Epsom salt as a fertilizer at any point where you see weakening in your rose bushes. You need to learn how to apply Epsom salt to your roses so that it’s the most effective quantity. Before you plant your rose bushes in the ground, place the roots in a solution of Epsom salt and water. This will decrease the stress on your rose bush plants that can naturally occur as they’re moved to your home, and then placed into the ground. Ensure that only the roots are covered, and not the entire plant. Let your rose plant soak overnight. Your next step is to prepare the hole in the ground where your rose bush is to go. Add one tablespoon of Epsom salt into the base of the hole. You will now be able to plant your rose bush as you would normally do. There is one final step to do once your bush has been planted, and is tucked into the soil. How Much Epsom Salt is Required for Roses After Planting? You may also use Epsom salt in your rose garden after the plants have been planted, and have been growing for several weeks. They’re still simple to maintain, even after being in the ground for a while. You’ll want to choose the spring as your optimum time for fertilization. You can then proceed to water your plant. You may also wish to dissolve the salt in your water container first, to combine the steps. If you need an example to help you with maintenance: Let’s say your rose bush is three feet tall. You’ll want to measure out three tablespoons, which will be used to scatter around the base of the plant. While you can simply use Epsom salt and water to fertilize your rose bushes, you may wish to mix up a special recipe that will contain all the compounds to help your roses to be colorful, fragrant, and beautiful. 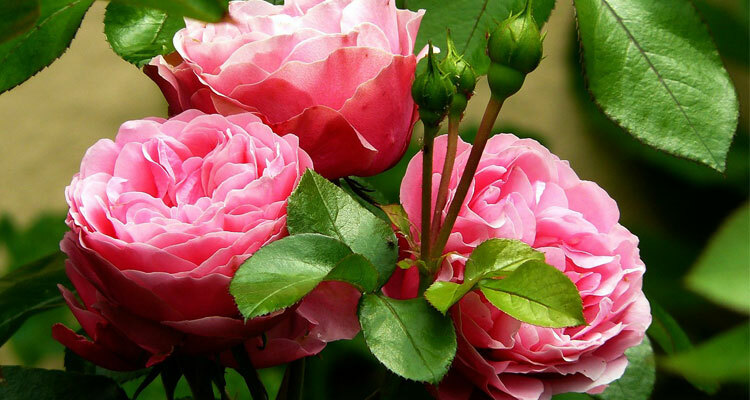 Here is a great do-it-yourself rose food recipe which will help your roses to thrive and grow. What’s best of all is that there is nothing complicated required to make your own rose food recipe. 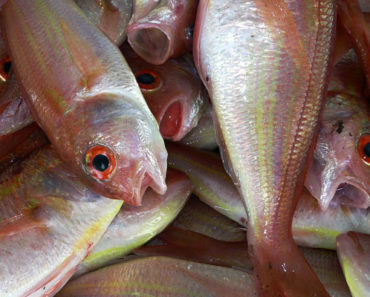 The ingredients can easily be found in most larger stores. It takes a minimum of effort to mix and pour the rose food at the base of your rose bushes. You’ll need to purchase the following ingredients and supplies first. Most can be purchased from your local super market, and a local hardware store or garden centre. Measure and then pour all of your dry ingredients into the plastic bucket. Measure two gallons of warm water—this will help your dry ingredients to dissolve and mix well—and pour into the plastic bucket. Mix all the ingredients together until everything is dissolved. The warmth is just to make everything dissolve, so now you’ll need to wait, while the mixture cools to outdoor temperature. Once the mixture has cooled it’s ready to use. Pour about a half gallon at a time. Don’t pour it directly onto your roses. You’ll want to pour the liquid at the base of your rose bushes. Use about half a gallon for each treatment. You can cover your bucket and store the mixture for up to two weeks. 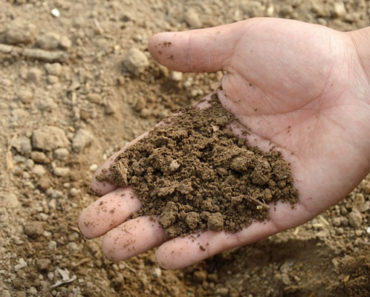 You’ll want to ensure that the mixture penetrates the soil and down into the roots. Let the food penetrate the soil and wait a few hours before proceeding with watering your rose bushes. Besides rose bushes, you can use your Epsom salt on other plants in the garden. Since Epsom salt is safe to use around pets, plants, and humans, it’s also an effective fertilizer to use when growing vegetables too. Add one tablespoon of Epsom salt into a seedling hole, cover with a thin layer of dirt, and then plant the seedling. Once a week add one tablespoon of Epsom salt into one gallon of water, and use this to water your vegetables. 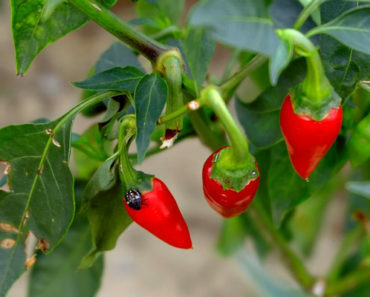 You can use it to help grow pepper and tomatoes. These plants often suffer from soil deficiency. 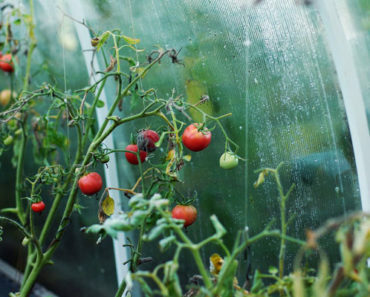 The Epsom salt can also prevent blossom rot and provide larger vegetables. When rose bushes thrive in your garden, you’ll be glad that you spent the extra effort to purchase Epsom salt, and to mix up a special fertilizer remedy. There are also some other tips you can take to ensure that your maximizing the usage of Epsom salt for your rose bushes. Do your Epsom salt treatment at least three times a year. Yellowing leaves may also be another cause for needing Epsom salt. In this case you’ll want to mix your Epsom salt into a spray container with water, and spray the rose leaves directly with this mixture. Now that you understand how important Epsom salt is for your rose plants, you’ll want to ensure that you have this garden staple in your shed year-round. Not only will your rose bush thrive, but other plants around the garden can benefit too. 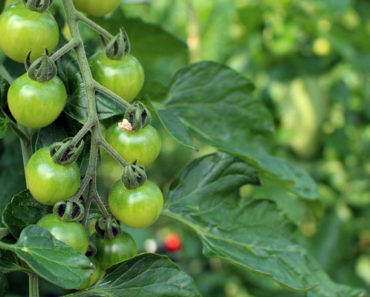 Is It Worth Using Calcium Nitrate for Tomatoes?